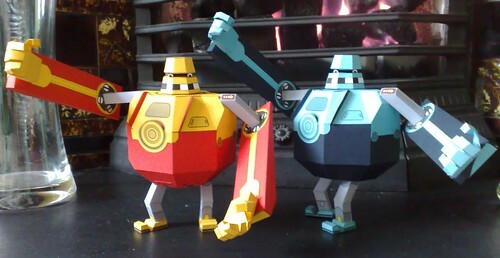 Made a model of a robot as a birthday card once. Was made of card so it still qualified as a card, Ha! You can download the PDFs here and print them yourself, or send me a small number of quids and I’ll send you a pack of parts ready printed onto the proper weight of bonny coloured card.